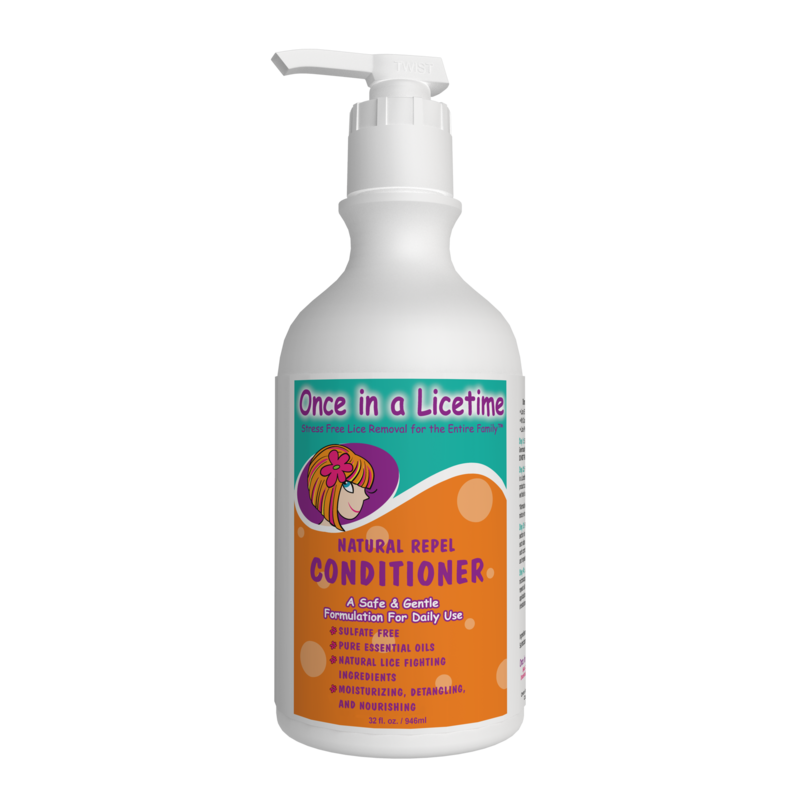 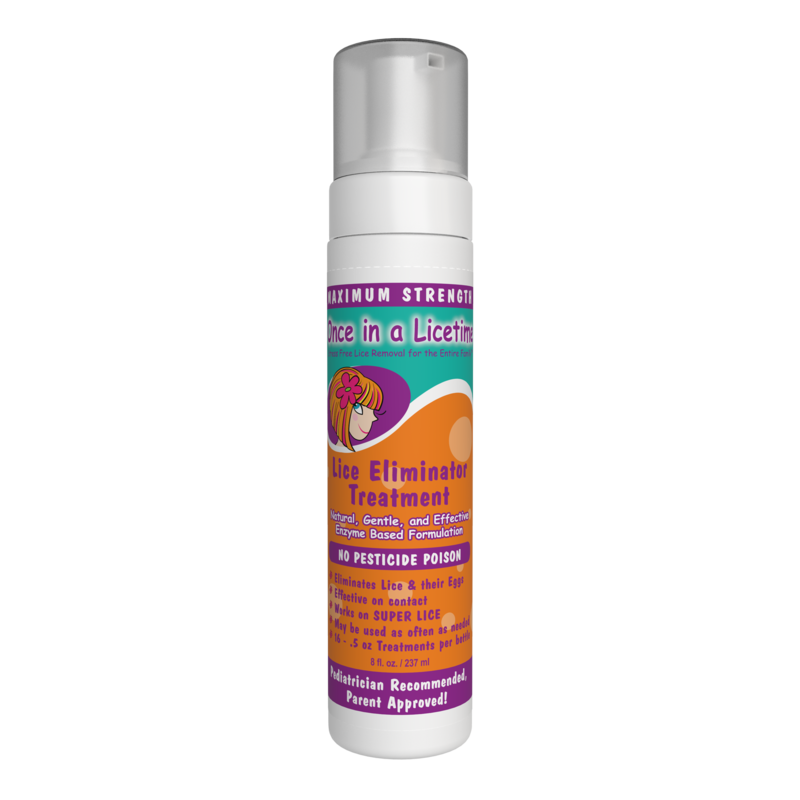 Our 32 oz natural repel conditioner comes with a pump and is free of sulfates boasting over 8 essential oils that naturally prevent head lice. 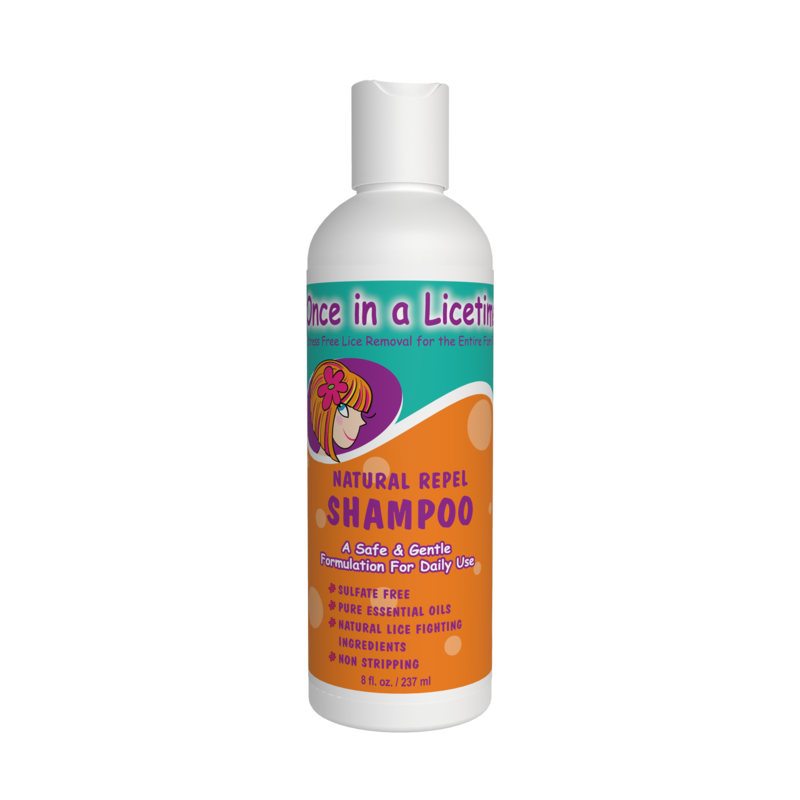 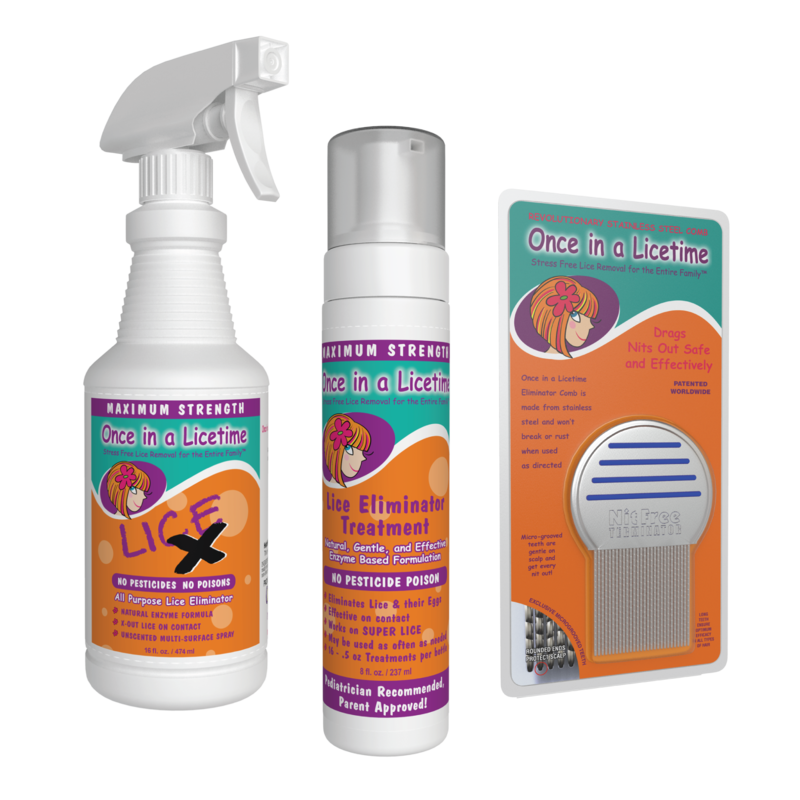 Use in conjunction with the Natural Repel Shampoo and our Detangler Prevention Spray for maximum benefits. This product is safe and gentle for daily use.